Find the perfect hidden microphone for your needs with our awesome guide to the best available right now. From the smallest listening devices to the most unique and discreet microphones, we’ve found them all. We feature 5 of what we believe are the top spy microphones on the market right now, so you can make an informed decision. We've covered all bases too. There are the disguised microphones that nobody expects and also the more traditional mics that are small in size but big on quality. Hidden microphones are no longer just for those secret detectives we see on films straight from the Hollywood Hills. They're for the everyday person who needs a secretive device to capture lengthy pieces of clear audio. In fact, they’re coming in useful for many different reasons to people from all walks of life. This has made them significantly increase in popularity. Whether you’re an intern who’s struggling to follow the company’s weekly briefing, a student who enjoys playing Tetris rather than listening to your professor or just someone trying to get to the bottom of an unsolved mystery, a spy recorder could be for you. Their uses go beyond what we can come up with ourselves as people are choosing to equip themselves with them for all sorts of weird and wonderful reasons. As the demand grows for these discreet products a lot more of them are appearing on the market. This isn’t always good news because the increase in choice usually means an increase in companies trying to get a piece of the pie with rubbish designs that falter easily. It also means there’s more junk to sift through before you find exactly what you’re looking for. This can take a lot of time and put you off getting something that could be really helpful. To help you find the perfect hidden voice recorder for your requirements, we’ve sourced what we believe are the 5 best spy microphones currently available for you to buy right now. We’ve chosen ones that cater for different needs so all young professionals, worried students and even more worried partners can find a spy listening device perfect for them. So, let’s dive straight into it shall we? See how our favourite microphones compare in the comparison table. Read about them in more detail in the reviews that follow. See what we think and why in our detailed reviews of the top spy microphones on the market right now. The first hidden audio recorder we can’t wait to show you has a voice activation feature as well as many other advanced performance modes that mark it out as one of the best in its class. It's the complete package of high performance microphone and recording device that will fit snuggly in a pocket or on your belt. Housing a decent microphone means that it's one of the larger devices in our guide. It measures 6.1 x 4.3 x 1.1 inches which is by no means large but might put some off. The larger size also means that it comes with a detailed LCD display screen. The backlit screen gives immediate feedback on the current recording settings, as well as battery and recording quality. Having this information immediately on-hand, cuts out any guess work with regards to the quality of the audio recording. This doesn't mean you have to be looking at the screen to make it work either. The voice activation function means that it can be controlled from across a room without you even touching it. This gives endless options when recording. Allowing you to conserve memory in quiet moments and reduce long soundless passages. The audio can be listened back to on the in-built speaker or through the headphone jack. The headphone option is obviously a lot more private but the addition of a speaker is something you'll find to be very rare in these devices. It's a really handy feature. Next to the headphone jack is a microphone input. Though the inbuilt microphone is excellent and has focus and wide modes for large spaces or more personal moments, it's always nice to have the option to adapt to any situation. This Sony recorder will happily accept a clip-on microphone for example. We've found that the in-built microphone works really well even when placed in a pocket, but it's great to have recording options. A USB output folds out at the bottom of the device meaning that it can be immediately connected to a PC or Mac to upload the audio. It can record straight to MP3 format for easy listening and storage but can also record in LPCM lossless audio. It has 4 Gb of internal memory but this can be expanded using a MicroSD card. It's up to you as to what size (in memory) you choose. The memory can be conserved by recording in a lower quality but it really depends on your intended use. This microphone/recorder combination makes some of the highest quality "on the fly" audio recordings around. Yes, it may be a little bigger and a bit more expensive than the competition, but it's a really high quality piece of kit that won't let you down. Voice activation and the ability to tinker with microphones and recording styles mark this as our favorite. Final Verdict: This is the one we'd choose over al others. It's a quality piece of kit that's worth the price in our opinion. Top class. If Judy Dench hasn’t been keeping you stocked up on spy-like gadgets lately, then don’t worry because we’ve got you covered. Obscure movie references aside, we’re not joking. This lightweight ballpoint pen that leads a secret recording life is just as convenient as it’s awesome. From the outside you see a normal black ballpoint pen but underneath there’s a really cool voice recorder. This makes it perfect to fool your boss into thinking that you’re actually taking notes and taking in what’s being said. In reality, you’re zoned out thinking about dinner with the knowledge that you can catch up on your workload in your own time. It’s also a handy little study buddy for students sitting in on complicated lectures. It records to an eyebrow-lifting standard with an audio quality of 192Kbps and includes noise reduction technology so only the focus of your recordings is captured. Operating this pen/recorder is super-easy as there’s one button to start recording and another to save your audio. Check this out: Find out how to make your own cool spy microphone in our guide to parabolic mics! What makes it even more seamless to use and more Bond-like – we just gave our movie reference away if you were left blank faced earlier – is that it has a voice activation function. That’s right - just say one of four commands and you’re operating it handsfree. You may look a bit crazy talking to a pen but deep down you'll know you’re secretly really cool! One thing we’re not so sure about just yet is its automatic recording feature. This means that when the device is switched off it’ll react to sound and record that, then save the audio when the sound ceases. This could be very useful in a lot of scenarios but may be a little inconvenient in others. Although, we should give it a standing ovation for its phenomenal storage capabilities. 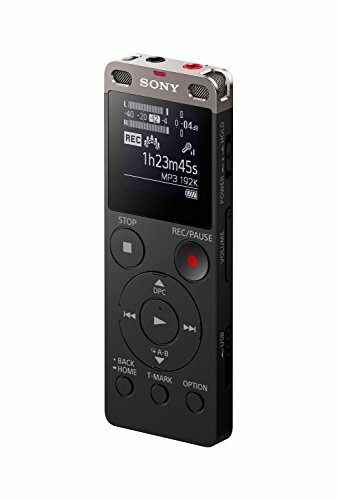 As you’ll see, most other small recording devices offer between 4-8GB of memory while this recorder offers a colossal 16GB which equates to around 180 hours of recordings. That’s a full semester for some students and probably a full year for students who struggle to make 9am lectures. It also has a rechargeable battery and functions as an MP3 player so you can transcribe any recordings or just listen back to your audio effortlessly. This spy audio recorder is the most expensive we have to show you. Is this because it’s a unique design or because it has outstanding features? It’s probably a little from column A and a little from column B. To be specific, the amount of storage you get on this nimble and compact product is just unbeatable. The fact its masquerading under a pen without becoming gimmicky and still offering quality recordings is what puts it in a higher price bracket. Yet, it’s really unique and we believe it’s worth every cent! Agree? Final Verdict: You get what you pay for and we wouldn’t try and haggle for this amazing hidden microphone for love nor toffee. 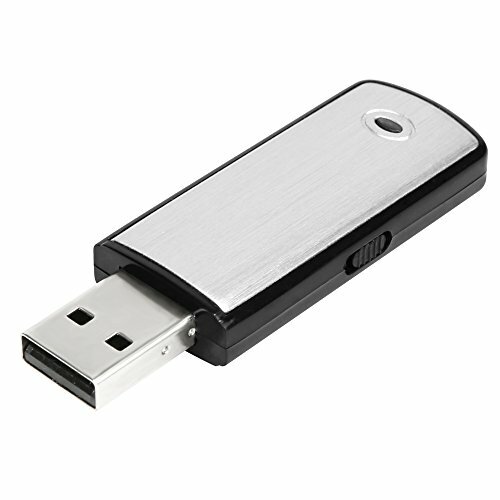 The third spy audio recorder in our showcase is this simple and sleek USB flash drive model from Lgsixe. It’s rather similar to the first secretive recorder we showed you as it triples as a USB device as well as a keyring. You can pick these up in a black and silver design that will only go noticed for their cool aesthetics rather than their recording feature. To keep the inner recorder function kept well under wraps, it has been designed so the flashing USB light remains inactive while it’s recording. This means it won’t grab the attention from your professor, team leader or your interviewer. The operating buttons have been reduced to a simple record and off button to make it easy to use and as another way not to give the secret away- compared to a host of buttons which may give the game away! Once you’ve gotten what you need, all you need to do is insert the USB into a laptop or PC and a list of your audio recordings will appear in WAV files. Those flashy half-bitten Apple-types will need to do a little more to get things running smoothly but it’s not too much of an inconvenience. Like we mentioned before with the other USB-type spy audio recorder, Mac owners will need to download the free VLC player to access their recordings. These USB designs make the transfer of files completely stress free. They can record for a period of 15 hours at a time, they come with 8GB of storage and our nod of approval. They’re also convenient when it comes to recharging your gadget. Unlike other spy microphones that you need to remember to charge in good time, these chargers will automatically start charging as they are plugged into your computer – even while you’re listening back to your files. If you’re sitting on the fence right about now, then you’re somewhat like the price for this spy listening device. This hidden voice recorder is priced around the mid-market range and we believe this is solid value for money. It has a lot going for it in terms of its discreet design and is easier to hide than the next two cheaper models *spoiler alerts* but we think it falls short of the first product because it doesn’t support as many file types. However, this won’t be too much of an issue to some people. Final Verdict: Lgsixe should be proud of their product and if you own one you should be too. Overall, these are some really great small listening devices that will be snapped off the digital shelves in quick succession. Next under our beady eye is this clip-on microphone from the boys and girls over at Sony. Sony are a household name and a brand you can trust – so why did they invent such a sneaky little recording device? Because it’s freaking fantastic that’s why! 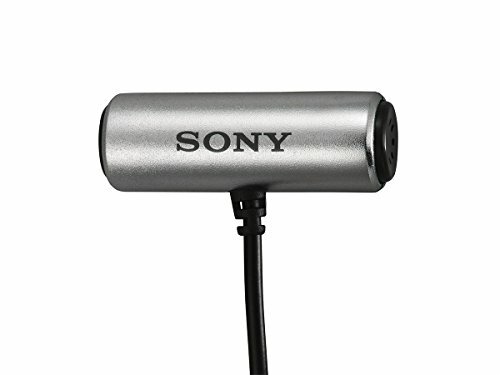 This cool looking microphone is branded with the Sony logo and clips into place so you can do some unsuspecting recording while leaving your hands completely free. Unlike the others, this one seems to play the detective card. It’s something we’ve seen in the movies where the vulnerable non-detective goes up against the bad guys to get evidence of their crimes or gets them to admit the murder. If you need to play the undercover cop for whatever reason – hopefully nothing as serious as murder - then this could be your quality option! What makes this one stands out from the crowd? Well, one of the best features is that the microphone can be rotated for omnidirectional recording. 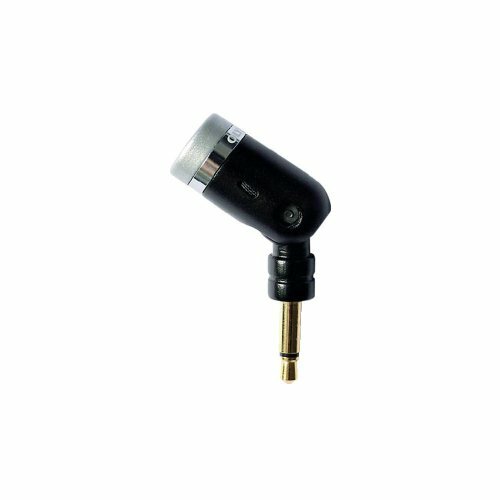 Simply turn the microphone in the direction of your target audio and let this excellent gadget do the rest. This feature lets you adapt to the environment if needed. A quick scratch under your chin and some sleight of hand and you’ve regained the direction you want to record in without anyone noticing. There’s also the option that this would be a great microphone in general without the need to hide it. 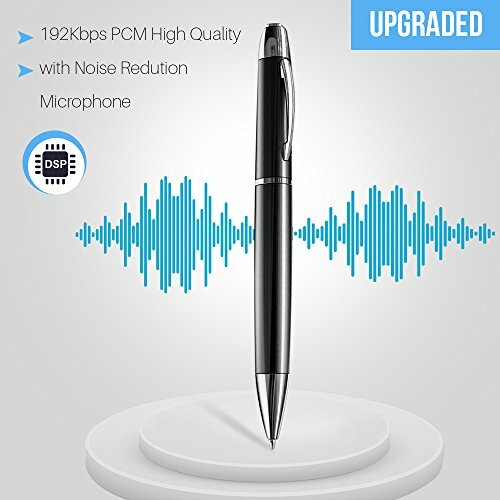 If you have an upcoming event or specific task where you would like to record your thoughts or speech, then this would be a perfect non-spy microphone as well. Maybe you’re a gamer who commentates on your game play to vlog it later, or maybe you’re preparing a wedding speech? Just our 2 cents! The cord is around the same length as your standard earphone cord, giving it enough length to clip to your collar and reach inside your pocket. This keeps it out of view. The microphone will work with both Android and apple smartphones to keep both sides of the “what’s better?” argument included. Similarly, it can be attached to laptops as long as you fit it to a 3.5mm microphone jack. One other thing you need to know is that this product doesn’t require batteries as it refuels at a line level. If you’re looking for a cheaper option, then you’ve found it in this Sony creation. It’s a little surprising that such a renowned company are offering their work at the lower end of the price bracket, but nobody tell them. We’ll keep that between us. It’s a bit different to what has gone before and isn’t as easy to hide. You could even argue that its conventional design isn’t very innovative or as cool as the others, but at this price it’s no reason to stick your nose up at it. Final Verdict: We reckon this design is a little niche and probably going to exclude some of the younger consumers who want the cool and edgy creations – perfect Father’s Day gift? Last but not least – we don’t think so anyway – is a design similar to Sony’s. However, there are a few differences between the two. This Olympus model looks awesome and is made of a lightweight plastic. Its sleek black colour is matched in convenience through compact dimensions that help it keep concealed and go unnoticed. Measuring in at just 3cm high and 5cm wide, the Olympus microphone beats Sony’s design in this regard. The cord attached to this one is also slightly longer than Sony’s by around 25cm. But size doesn’t always matter – read on! Sony come up trumps over Olympus when it comes to compatibility. Sony’s hidden audio recorder is reported to pair with other devices and brands without many obstacles or head scratching. On the other hand, our researchers have discovered that pairing this Olympus spy microphone with competitors’ products can be a little more complicated. It may even involve you having to buy in-between items to get it working – and sometimes not to its full potential. It’s really designed to be used with Olympus digital recorders and possibly some MP3 devices. There are still many reasons why this is an exceptional hidden voice recorder that you should be getting excited about. It has been praised for warranting outstanding sound quality and this is likely to do with its noise cancelling capabilities. It will drown out any background noise to let you focus on the audio that matters most to you. Other little perks you should know about are its screen to keep it clean and protected and a tie clip, so you can always operate it handsfree. This is another cheaper alternative and is priced closely to its main rival. We’ve compared this one a fair bit with the similar Sony model already but let’s take a step back and give it a fair comparison against the other models. It has some outstanding specifications when it comes to reducing background noise which other quirkier designs cannot boast. For that reason, we give it a big thumbs up! You should give it two – because it’s handsfree after all! Final Verdict: These are great small recording devices but another one for the dad jokers, CEOs and professors rather than the students? That’s what we think anyway but don’t let us stop you hip kids from buying one by any means. Welcome to the annual hidden microphone awards. There's no red carpet or fancy dinner but we’re your host and there are some prizes we need to hand out. We’ve been listening attentively to what’s been said about each of these secretive and smallest listening devices and decided which one we like the most, and which we believe is the best value for money. The awards for the best hidden listening devices came down to a shortlist of the first three models. The USB microphones are an amazing option for the convenience aspect and our love for the uniqueness and undercover concept that the pen design brings was just too cool to handle. In the end, we couldn’t decide between the ballpoint pen design and the first USB model. The ballpoint pen may definitely be much more innovative, but the USB offers a level of convenience that cannot be beaten. If these two designers could get into bed with each other than that would be great, thanks! The other award to be handed out is to the microphone which is the best value for money. This was a toss-up between the Sony model and the second flash drive model on our list of the best 5 spy microphones currently on the market. Even though the Sony one is exceptionally cheap, we decided that neither are going to break the bank and there’s not much money between them. For that reason, we chose the more discreet flash drive microphone which is much more likely to go unnoticed as an audio recorder. To be awarded a hidden listening device award, we feel this is very important. Before you wander the digital aisles and drop these products into your basket, there are a few things you need to get your head around, a few terms to come to, well, terms with, and some questions you need to ask yourself. Doing this will help you make an informed decision and prevent you regretting your choice. These will be especially useful if you’re a first-time buyer of these types of products and need a little guidance into what you need to look out for. We’ll get the boring stuff out of the way first. There aren’t many terms you need to be aware of but one term that you should know and one that has cropped up more than once already is “Kbps”. This stands for kilobytes per second and will often be a measurement between just under 100Kbps and just over 300Kbps. It basically describes the quality of a digital recording like an mp3. To give you a real-world comparison of what this actually means, 128Kbps is a sound quality somewhat equivalent to what you hear when listening to the radio. The times we’ve mentioned kilobytes per second you'll notice that these measurements were well above this reading and closer to the 200Kbps mark. This means you can expect these recorders to offer much better sound quality than listening to the radio. The best way to make a smart choice when looking for a tiny microphone is to ask yourself some questions to iron out what you want and need. After all, unless it’s a gift for someone else then this is going to be used by you - and nobody knows what you should buy better than yourself. Unless you’re part of a boyband and need help getting dressed, of course. So, to the questions! Why Are You Buying One? Did you bumble through some maze of Google searches to get here or do you have an actual purpose for your new-found craving for a hidden microphone? There are many uses to these clever tech tools and deciding what their purpose is to you is crucial. This question has been placed first because the answer here will help you answer the following few questions. Recommended Reading: Need a spy camera to compliment your new microphone? Don't miss our awesome guide! Students and professionals make great use of them by keeping up with what they’ve missed in meetings or to analyze their performance in presentations and interviews. They can be great for vlogging gamers to help commentate on their play and also great at catching out cheating husbands and wives. One thing we would recommend is that you also ask if you’ll give this a secondary use or is it just for that one thing you’re thinking about right now? If it will come in handy in more than one place then try and find one that has features for both, if required. Buying one great spy listening device is much better than buying two average ones. The amount of storage you need should be a crucial consideration before plummeting into a purchasing spree at an online retailer. These devices can vary in the number of hours of audio they can hold at one moment. If you’re just using it to tackle a small project then it shouldn’t be too much of a problem but if you’re a PhD student with lots of memos to record then you should look into this – then quickly get back to your books. What Audio Range Do You Need? Your intended use for these hidden recorders should answer this question for you straight away. If you’re a student or business-type that attends lectures in great big halls or conferences in large-capacity centers then you’ll need one that captures audio from great distances. Recording from the back of the room while enjoying not taking notes only to find out your recording isn’t loud enough can leave you in trouble. Some models can record from considerable distances and the first spy recorder on our list of 50 feet is simply superb in this regard. Do You Need A Noise Reduction Feature? In the instances where you are in big venues and your recorder has to wrestle with background noise, you may also need to ensure that your recorder can take care of that for you. This is also true if you intend to secretly record outdoors or during busy times of the day. If it’s just you at home or alone in your office then this doesn’t necessarily need to be top of your priorities. There are online programs that can help quieten background noise for you, but to use them takes time in watching tutorials and learning how to do it. Just get a noise reducing one; it’s much easier. Does your boss or professor allow you to record their meetings and seminars? If they do, then you may not need your microphone to be so discreet. However, some people don’t wish to be recorded and recorders can be looked down upon in such situations. In this case you’ll have to get one that nobody would ever know was actually a spy microphone. Now you’ve asked yourself these questions, you’re fully prepped to make an informed and sensible decision that works for you. You’ve organized your thoughts and have a better idea of what you’re looking for. How about skim reading our top 5 spy recorders above one last time and see if one fits your preferences? We don’t doubt you’ll have a lot of fun and get good use from these secretive gadgets – and you can quote us on it, in one of your future transcripts. But be warned! You may make a smart decision in choosing one but proving your partner does in fact snore is not a smart idea. Check back soon as there's a lot more like this coming at Stealthy Ninjas over the near future! Find out how walkie talkies really work in our next article.